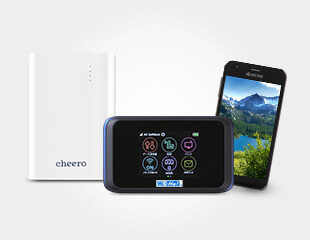 You can choose your Pocket WiFi to suit your needs. Plenty of lineup options to choose from. Easy to pick up and return, with no waiting time. Unlike free Wi-Fi Services, Wi-Ho!® provides convenient and reliable Internet access, wherever your journey takes you. 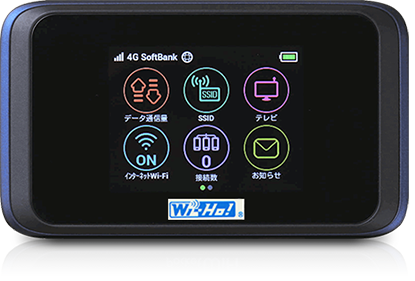 Many of Japan's Wi-Fi hotspots require users to register and enter a contract, and only a few services can be used easily without any prior arrangement. It can be difficult for visitors to connect to the Internet in Japan at some places. But with Wi-Ho! 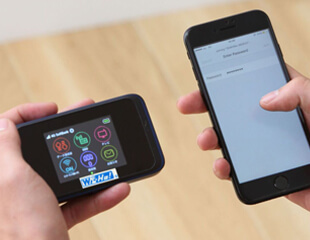 Pocket WiFi service you can easily access the Internet using your own smartphone, tablet or laptop. These can then be used to look up your travel destination, search where you are located, to find popular attractions and restaurants around you. Check out what's happening at your destination and see if there is anything new to explore. Use the online maps to navigate yourself all around Japan. Share your travel moments to your Social Media when you want. Use translation apps or service to experience and enjoy more of Japan. Telecom Square is a global mobile solution company specializing in mobile device rental. With 25 years of experience, we provide services to more than 500,000 users per year. We have counters at Japan's major airports and operate a dedicated call center system to ensure peace of mind even when problems occur. 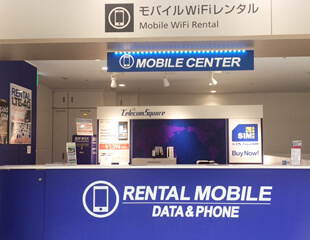 In addition to Pocket WiFi rental, we offer a strong lineup of other services for travelers, including SIM card sales and mobile phone rental.